CooksRecipes has quality, kitchen-tested recipes for a variety of peanut butter pies, including peanut pies, that you can count on for successful deliciousness. 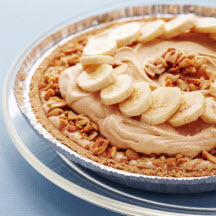 This ice cream pie is full of rich peanut butter, banana and vanilla flavors that you will really enjoy - and so will your family and friends! A great dessert for parties. 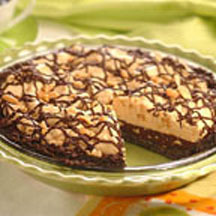 A rich chocolate crust is the perfect complement to the creamy peanut butter filling and chocolate peanut topping that makes this pie so special. 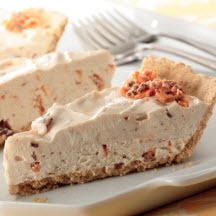 This cream pie made with peanut butter and Butterfinger® candy is a great make-ahead dessert that only takes minutes to put together.